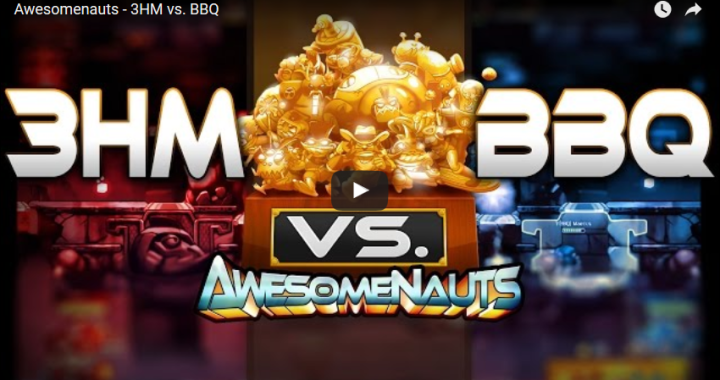 Watch these awesome showcase matches between teams 3HM, JIS and BBQ, commentated by the talented casters FourCourtJester, SlowWolf, Weazel. These videos are made possible by the new Replay System, that we introduced in Awesomenauts Patch 2.4! We will be continuing to polish up our replays system to make sure it provides the best possible game commentary & rewatching experience possible! Thanks to the teams and FourCourtJester, SlowWolf & Weazel for these awesome showmatches! We certainly hope there’s many more commentaries to come!